Remember the other day when I wrote about this Lync Error Message? So today I had to deal with another problem regarding Lync (they just keep coming!). One of my colleagues had a problem signing in to Lync. To make it more interesting – other users could log in on the same machine, and the user could log in on other machine, but couldn’t get to log in on her own computer (Windows 8.1). 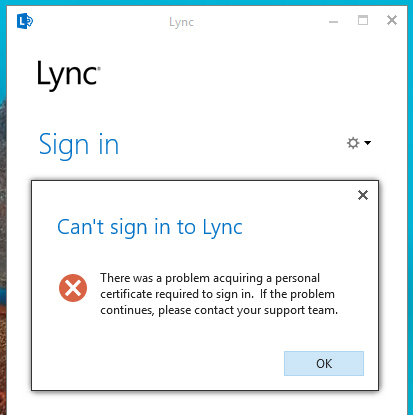 “Cant sign in to Lync – There was a problem acquiring a personal certificate required to sign in. If the problem continues, please contact your support team”. First of all I must tell you – I already tried to repair Office 365, and already tried to uninstall and reinstall the software. It’s not going to help you. There are a couple of solutions here. If one doesn’t work for you – keep going and try the next one. 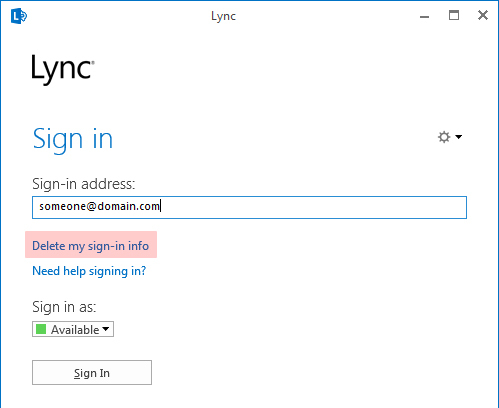 Open Lync login window, and click on “delete my sign-in info”. Then – type in the login details and password again and try to log in. 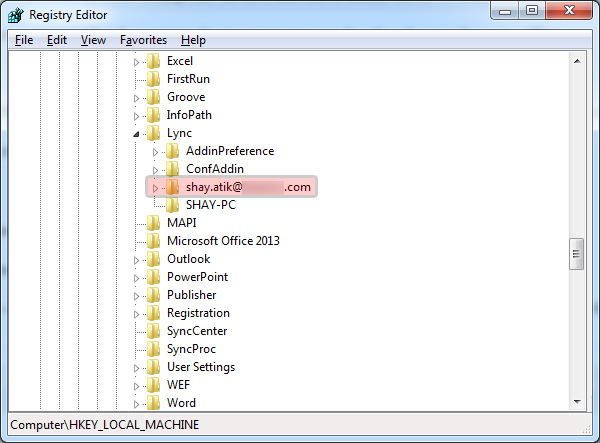 Go to “C:\Users\Username\Appdata\Local\Microsoft\Office\15.0\Lync\” and delete the specific user’s sip (Session Initiation Protocol) folder. 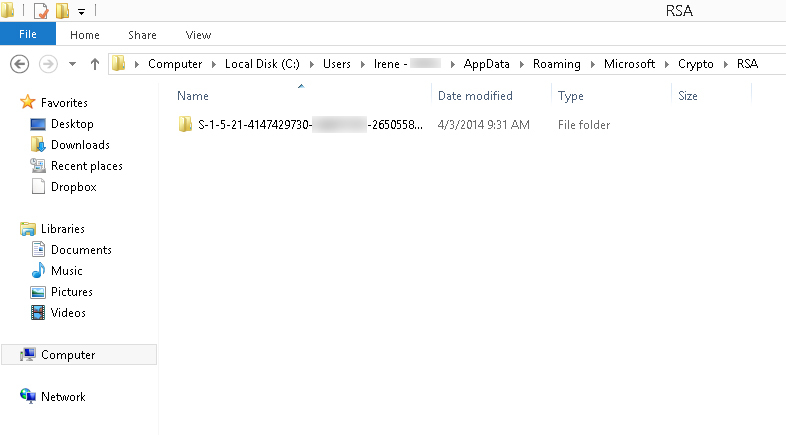 Go to “C:\Users\Username\Appdata\Local\Microsoft\Office\15.0\Lync\ Tracing\” and Delete All files. DO NOT DELETE ANY FOLDER. This is what worked for me, after 2 hours of researching. You’ll see one or many folders (defends on how many users logged in to their account on the computer). Delete all the folders. 4. Try to log in. Don’t forget that if you delete all the folders, each and every user will have to sign in again. Awesome! Thanks so much for the clear and easy to follow instructions!!! step 3 is worked for me, but what cant understand why its happen. can u pls update that too if possiable. Thank you Dude. 4th option worked for me. I have asked my company IT team they also cannot solve this issue. You saved my life.